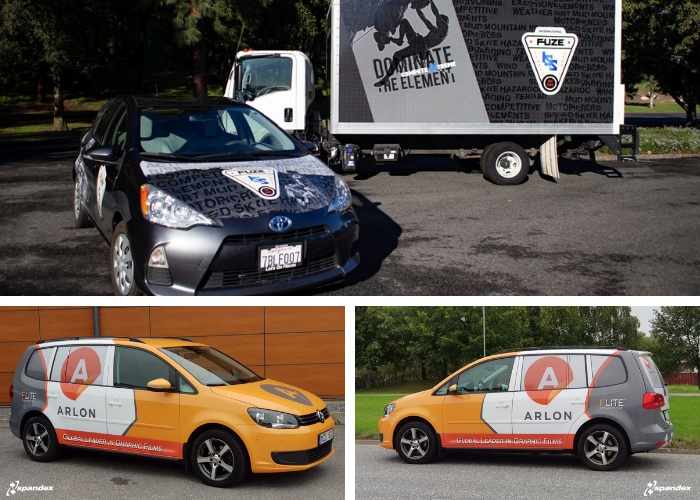 Fusion Wrap is designed specifically for fast and effective installation of vehicle wraps and graphics. The new product incorporates Arlon’s FLITE TechnologyT, repositionable system based on a unique adhesive and liner combination that allows graphics to float over a substrate until firm pressure is applied. The product also features a low profile air egress liner and has a tinted, permanent pressure-sensitive adhesive that creates enough opacity to ensure a vibrant print.